Hi, everyone! This is Takeuchi, a newly hired engineer here. This time around I’m going to introduce the “English Lunch” that some employees at AMATA have put together on their own. I assume that some of you probably do and some of you don’t. Those are some typical responses I think a lot of people have. But in reality, a lot of the time English is very much integrated within the Japanese lifestyle. If you look for it you can spot things with English everywhere. It’s impossible to go about your day without spotting some English. So to that extent in today’s society, English is essential when it comes to our daily lives. And since English is essential in today’s society, a study session was put together at AMATA to learn the language! 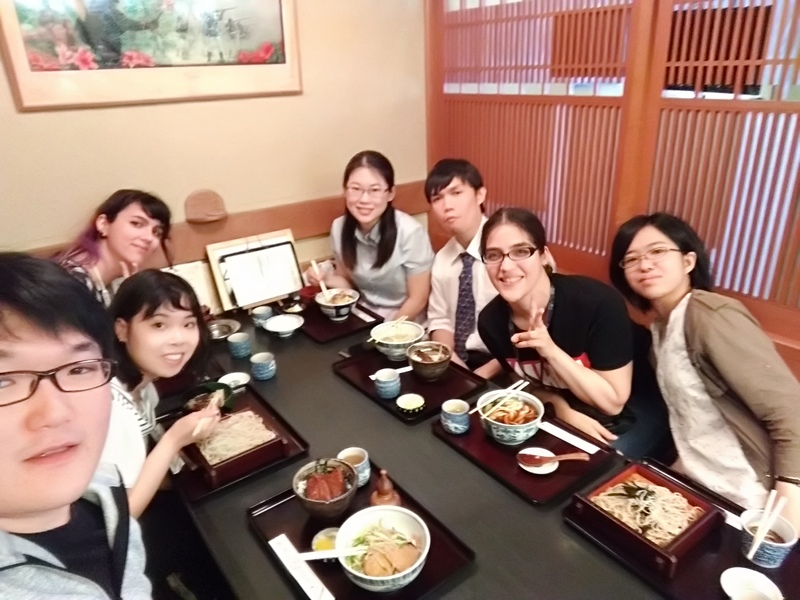 It’s called “English Lunch,” which is a lunch meetup for AMATA that is held every week. It was put together so employees who haven’t learned English can have a place to learn if they’re interested. AMATA is also very proactive when it comes to hiring employees from abroad, which means there are people working here who have come from a wide variety of countries. And, as you would expect that includes people who can speak English. Therefore, the employees who speak English can help out and teach what they know during English Lunch. But I put up with my nervousness as best I could. This immediately gave me a sense of relief. As a general rule we had to speak to each other with basic English, but we could speak Japanese if there was something we didn’t understand. I think that AMATA is a great place when it comes to finding an opportunity like this to study English and even touch on words that you don’t hear very often. The photo was taken by me while I was there at the lunch. Our conversations were in English, but as you can see when it came to choosing our lunch, we still decided on Japanese food.